Glyphosate acts as the main ingredient in Monsanto’s Roundup weed killer and the most heavily used pesticide in the world. Despite being prohibited in organic production, glyphosate has made its way into the organic food supply, testing heavily in oat-based foods like oatmeal, granola, snack bars and breakfast cereals. As a probable human carcinogen according to the World Health Organization, glyphosate is on the cusp of becoming a house-hold name that consumers will want to seek more education around. Foodstirs felt a moral obligation to obtain the Glyphosate Residue-Free certification to give consumers peace of mind and transparency into its product line. 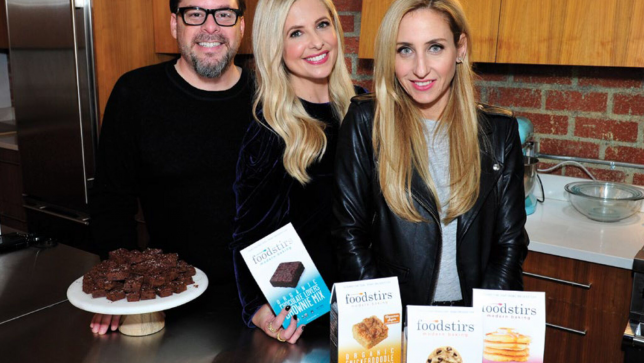 With oats being the biggest offenders to glyphosate, Foodstirs made it their mission to have all three of their Organic Chewy Oat Bar Mixes certified by The Detox Project. Buffy, you’re still my hero! You go. girl!